DoTERRA has surprised us again! 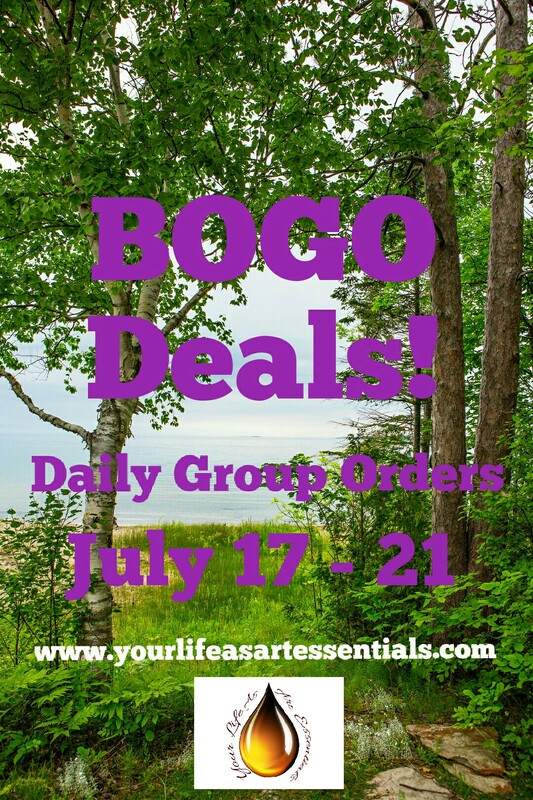 Daily BOGO Deals – Buy 1 Get 1 Free! 🌼 Group orders going in everyday by 11am and by 6pm IF supplies last (for a 2nd order)! 🤗 Please join my exclusive education and support group on Facebook – Your Life As Art Essentials Community for the daily details and sales!!! 🎉 Save on shipping with group orders! At the end of the week I will provide everyone with a total. Payment will then be e-transfered to me and when the orders arrive I will arrange pick up, drop off or shipping to you! 💕 Know anyone else who would benefit from our essential oils? I would love for you to pass on my info to them 💗! 🌞 Have an amazing rest of the weekend and stay tuned for Monday BOGO Excitement!!! Next I Sell doTERRA Essential Oils – How Can I Help You?